Of Minnesota's most populous counties, Scott County saw the steepest drop in median income last year, according to new economic data released today by the U.S. Census. 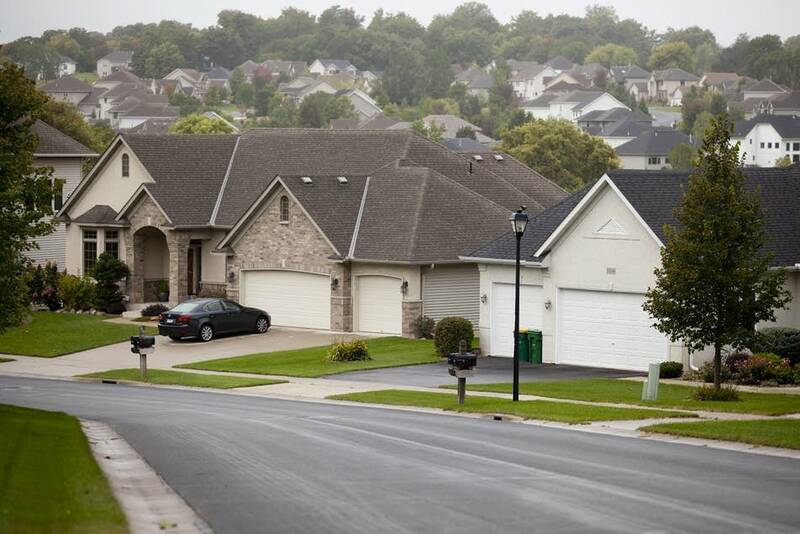 The wealth of Scott County households fell by 10 percent. Statewide, median income fell by 2 percent. 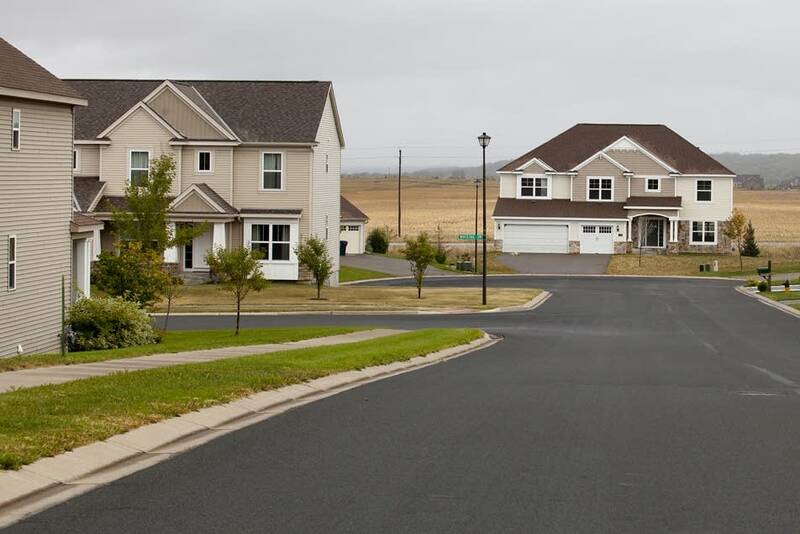 While the once-booming south metro county remains relatively wealthy, residents there have felt a noticeable drop in earnings and buying power. From Mystic Lake Casino to Canterbury Park race track, Scott County was dealt a streak of winning hands as homes sprouted on its rolling fields. In 2009, Money Magazine touted Scott as one of 25 counties that experienced the most job growth over the last eight years. That picture dimmed in 2010. 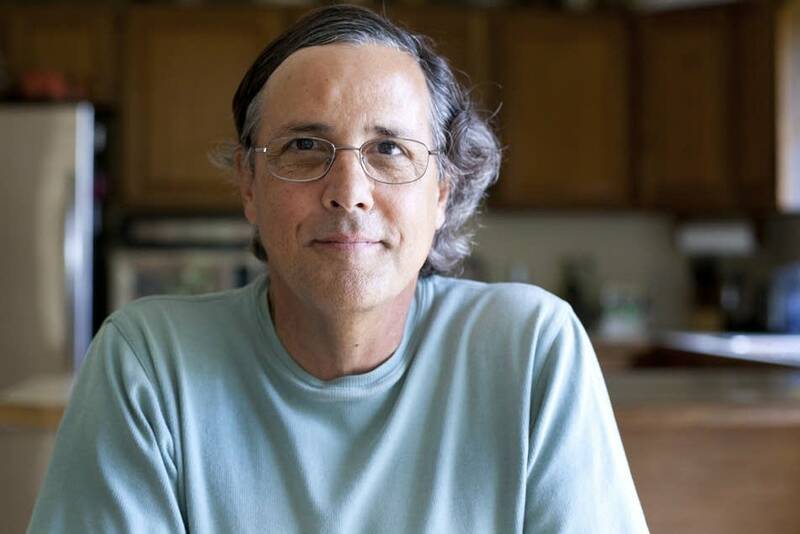 Longtime Prior Lake resident Bill Gurnon saw it happen. "With the building that was happening here, the development, I mean it was everywhere," Gurnon said. "People were building houses like crazy. And that just stopped. It just totally stopped." Now, Gurnon sees signs of belt-tightening in his neighborhood. "In previous years they had hired somebody to cut their grass. The yards are kind of big here," Gurnon said. "In 2010 and 2011, they cut the grass themselves now." Gurnon used to work for a homebuilder. His former boss declared bankruptcy after too many people walked away from their new constructions. Gurnon now teaches computer classes for dislocated workers. When median income fell in 2010, workers were flocking to his classes. "We've had flight attendants, pilots, real estate people, managers, factor workers, everything in this class," said Gurnon. Gurnon works with many workers who have been with the same employer for decades and don't know high-tech tricks of the job hunt, such as putting key words in white typeface so they'll float to the top of the digital resume pile. Kyle Uphoff, regional analysis and outreach manager with the Minnesota Department of Employment and Economic Development, notes that Scott County tends residents tend to be more white collar workers than other metro counties. It also has a lower unemployment rate or 6.1 percent, compared to 6.7 percent for the metro area. While Scott County saw the steepest drop in median income in Minnesota's most populous counties, Hennepin dropped 6 percent. In Ramsey, the poorest metro county, median income went up by 3 percent. The census department's American Community Survey samples 2 percent of households every year to provide a much more detailed picture of America's wealth, education and family composition. The 2010 data for Minnesota communities of more than 65,000 people showed a state still climbing out of a recession. When Uphoff drills down for an explanation for why median income has fallen more sharply in Scott compared to other big Minnesota counties, he looks at the mix of work people do there. "Construction, manufacturing, finance and leisure and hospitality industries," Uphoff said. "These are all industries that here in the Twin Cities have been hit very hard by this recession. "On the other hand, you see many fewer people working in the health care industry — an industry which has continued to add jobs throughout this recession." The recession put the brakes on mobility in the economy, meaning fewer new folks moving to Scott, a key driver for wealth in this county," Uphoff said. 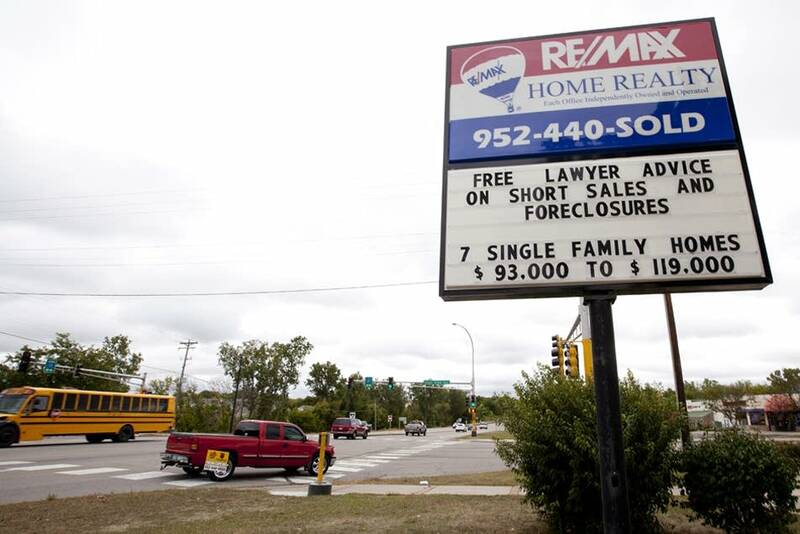 Richard Gross owns the ReMax realty office in Prior Lake. A big sign out front offers free advice on foreclosures and short sales. It also advertises that single family homes can be snapped up in the $100,000 range. A realtor in Scott County for more than two decades, Gross watched boom in the early 2000s as people sought affordable real estate in open land south of the Twin Cities. Now, Gross watches as those homes turn into bargains for those who can buy. "Houses that were built for a $1 million, $1.2 million, selling for $499,000 and $599,000 and on the other side are sellers taking tremendous loss or banks taking tremendous loss," Gross said. "Or banks taking a tremendous loss with the short sale or the foreclosure. It's a mixed bag."